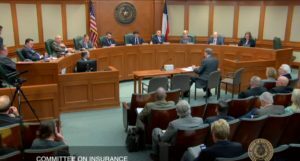 The bill’s sponsor and the head of the Auto Body Association of Texas on Tuesday told a Texas House Insurance Committee that House Bill 1348 was necessary following what they said was the Texas Department of Insurance’s view that it was powerless to check certain insurer behavior. Clardy said he had a “fundamental disagreement” with the TDI’s view of itself, arguing it should be an “advocate” and “protector” of consumers over insurers rather than a “go-between” for the two. But in deference to the agency’s comments, Clardy was trying to provide that specificity in the bill, he said. Lawmakers had a chance to give TDI the authority to “do the right thing” with HB 1348, Clardy said. 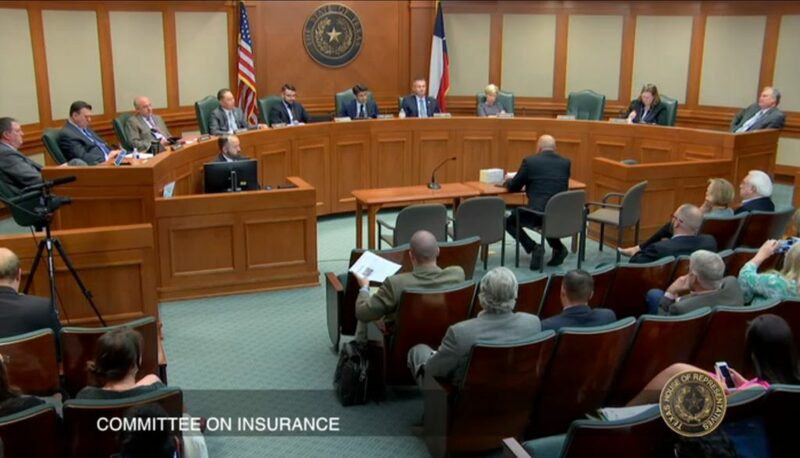 “We have exhausted every effort before we came here” with the bill, Auto Body Association of Texas President Burl Richards (Burl’s Collision Center) told the committee during the hearing. He mentioned three separate meetings with the TDI in 2018. “We continually were told that TDI has no jurisdiction, they have no authority and ‘You’re gonna have to pass legislation,'” Richards said. Richards said he was told repeatedly that TDI doesn’t recognize or enforce prevailing rate language but allows the term to appear in policies. He said he was instructed to provide definitions. American Property Casualty Insurance Association state government relations Vice President Joe Woods argued that by excluding DRP rates, the law could capture “only the highest rates.” Houston Auto Body Association President John Kopriva (Kopriva Body Works) said DRP shops’ rates were excluded because those rates were part of an agreement with insurers. Repairers in direct repair programs often agree to artificially deflate direct repair program rates in exchange for a crack at referral volume from the insurers, so it’s apples-to-oranges to treat them as a reflection of the broader market. To use an example from another industry: If one hotel in town cuts a deal with a convention to rent a block of rooms for $100 less to lock in that business, it’s not like it’s reasonable for an average tourist to demand or expect to pay $100 less at every other hotel in town with no such guaranteed revenue stream. TDI was not among the agencies which responded to a Society of Collision Repair Specialists inquiry of every state department of insurance regarding regulators’ views of OEM repair procedures, based on the trade group’s website.